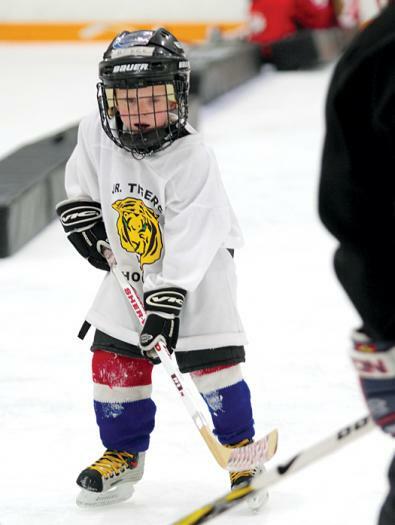 The 2010-11 season was a year of unprecedented growth for youth hockey. For the first time ever, USA Hockey surpassed 105,000 members in the 8 & Under age category. The positive impact of the Vancouver Olympics, a historic Stanley Cup win in Chicago and the focused efforts of hundreds of local volunteers spurred more parents to bring their young kids to rinks than ever before. In fact, our 100,000th registered member last season was 5-year-old Laura Clements, from Wareham, Mass., who did not come from what you might consider a hockey family. She simply had received a flyer at school and her parents decided to give hockey a shot at their local rink. Three years ago, on this very page of USA Hockey Magazine, I stated that our goal was to have more than 40,000 new USA Hockey members in the age 8 & under category each year. Last season, we eclipsed the 48,000 mark of first-time players registered in the Mite category. Many came from families who have shared a passion for hockey for generations. Others, like our friend Laura, may have walked into a rink for the first time just last year. More and more families are becoming a part of hockey, with a growing number coming from what we typically call “non-traditional” areas of the country. Many are newcomers to the game but take a leap of faith that it is a safe, fun and exciting sport for their children to be a part of. But whether you are a parent in Boston or San Jose, we all want what’s best for our children. For our game to expand, we want parents to see that hockey is the best youth sports activity for their children. Our game is pretty cool – it’s fast, it’s played on ice in a unique setting, it’s physically challenging and most importantly, it’s fun. All of those important attributes appeal to both parents and kids. When a family enters a child in youth hockey, it’s usually a given that they expect the Promise of Fun will be fulfilled. Most parents expect fun to be a part of their kids’ activities. Unfortunately, and no matter what the age of a youth hockey player, we sometimes forget about fun. But when parents, coaches, administrators and our players make fun a priority, the world of youth hockey can’t be matched. There’s also a Promise of Guidance to the youth hockey experience. Not every parent grew up around hockey, so not only do they need the coaches to instruct their kids, but the parents also need to be taught the ins and outs of our sport. A new hockey parent doesn’t intentionally put an elbow pad on their child’s knee – getting a 5-year-old dressed in gear is no easy task. A helping hand from a volunteer or a veteran hockey parent is a small gesture that has a tremendous impact on making families feel welcome at the rink. We have been fortunate to have so many new participants join our great sport, but we have to continue to welcome these people into our hockey family. The third of our three promises is the Promise of Achievement. Not every kid will be a natural goal scorer or the fastest skater on the ice, but parents want to see their child develop and improve as a young hockey player. When both parents and players see or have a sense that something is being achieved on the ice, they form a stronger, more personal connection to hockey. I’m guessing that when Laura Clements went to her first hockey lesson, her parents may have dreamed of future hockey greatness for their daughter. If and when the Clements family brings Laura back to the rink week after week or year after year, it’s because the three promises of youth hockey are being fulfilled. It’s a fact of life that it’s not always easy to keep one’s promises. For us to keep our “Three Promises of Youth Hockey,” it requires a team effort, from the USA Hockey National Office staff to an army of local volunteers. It requires passion and dedication, a commitment to ensuring that the same promises that first brought us to the rink, and keep us coming back year after year, are alive and well for future generations of youth hockey players to discover the magic of our great game. Pat Kelleher is the assistant executive director of Development for USA Hockey.